The amount of financial aid you can receive for a semester is based on your enrollment status at the end of the drop/add period and class attendance. Federal regulations mandate that only courses required for your degree program be used in determining your enrollment status for financial aid purposes. It is also important to note that as a financial aid recipient federal student aid regulations permit only one repetition (repeat) of a previously passed course in determining your enrollment status. (See " Repeated Course Limitation " below) The chart below reflects the minimum credit hours required for financial aid recipients to be considered full-time, three-quarter or half-time during a semester. Regular class attendance is required to establish eligibility for your financial aid award. If it is determined that a student's attendance in a course(s) cannot be documented by the instructor(s), the student will not receive financial aid for the course(s). As a result, the student's financial aid award will be canceled or reduced to reflect the courses in which attendance was established. The student will be responsible for repaying any financial assistance for which he/she is deemed ineligible. Failure to resolve the overpayment can result in your ineligibility for future financial assistance at any college or university until the overpayment is resolved. Financial aid funds are expected to be used to cover those courses required to complete a student's chosen major. A previously passed course may only be repeated once and be counted as credit in determining a student's enrollment status (full-time, part-time, etc.). Any repetition of a class after passing it the second time, will not count in the student's enrollment status. Occasionally, it may be necessary to withdraw from an individual course or from all classes in a semester. If this should be necessary, it is the student's responsibility to initiate the withdrawal by contacting the Registrar. In the event you completely withdraw (officially or unofficially) from school before the 60 percent (60%) point in time of the term, a refund calculation must be performed to determine the amount of financial assistance that the student earned for the portion of the semester completed. Funds received that are greater than the amount earned must be returned by LaGrange College and the student to the financial aid programs funding his/her education. Failure to do so can result in the student's ineligibility for future financial assistance. Financial aid funds are awarded with the expectation that the student will attend classes for the entire term for which the assistance was awarded. In the event a student withdraws or ceases attendance in all registered classes in a term, the student may not be eligible for the full amount of financial aid that was originally disbursed. The Higher Education Act of 1965, as amended in 1998, require institutions to calculate a Return to Title IV Refund and a Refund of Institutional charges when a student withdraws or otherwise ceases attendance after beginning classes. These calculations determine if the student earned all the awarded aid and if the student is due a refund on assessed institutional charges for the term. The Return of Title IV Funds Policy applies to Federal aid such as Federal Pell Grant, SEOG, Direct Stafford Loan, Perkins Loan, Direct PLUS and TEACH Grant. 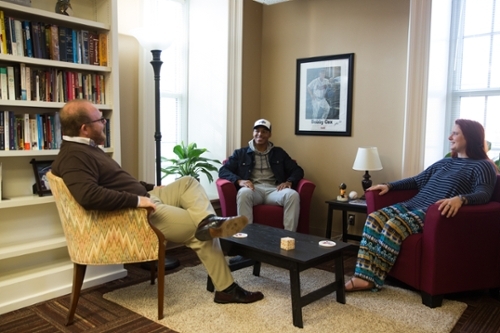 LaGrange College also applies the same policy to State and Institutional aid programs. It is the responsibility of the student to initiate a complete withdrawal from the college. The withdrawal date for refund calculation purposes will be the date the student initiated or expressed his/her intention to withdraw from all courses by notifying the Registrar. It is recommended that the student consult with the Financial Aid Office to determine the impact a withdrawal may have on future financial aid eligibility. A student who receives grades of W or F in ALL classes and is determined to have ceased attendance before the end of the term will be considered an unofficial withdrawal. In the event of an unofficial withdrawal, the Financial Aid Office will contact the instructor to obtain a last date of attendance at an academic-related activity. The withdrawal date will be the later of the last date of attendance documented by the instructor or the midpoint of the term, if a date cannot be determined. Based on the date of withdrawal, you may be eligible for a full or partial refund of your charges for the term. The Business Office will apply the College’s Refund Policy to determine if a refund is due (see refund details below). A student who completely withdraws from all classes can receive a refund up to the 60 percent point of the term which is measured in calendar days, not business days. Any withdrawal after the 60 percent point will not result in any adjustment to fee charges. 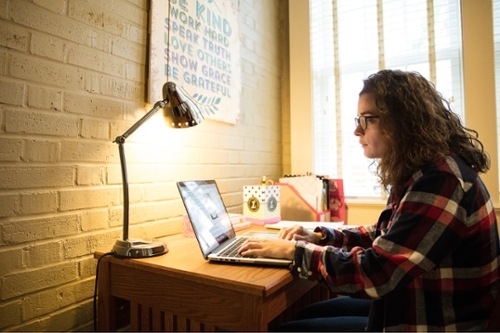 This refund policy will not impact the Return of Title IV Refund calculation but does affect the amount of money a student may owe to the college as result of the withdrawal. The college’s refund policies for the refund of tuition, fees, room and board are described below. Tuition, course related fees and books purchased through the College will be refunded on a prorated basis measured by the number of calendar days the student attended up to the date of withdrawal divided by the number of days in the term. Federal regulations require that any break of five days or more be excluded from the number of days in the term. The begin date of a term is defined by the academic calendar of the program, even if the student does not have a scheduled class on that date, and ends on the last day of final exams. Parking permits, student health insurance and testing fees are non-refundable. The resulting percentage is used to determine the amount of tuition and fee charges the college earned. 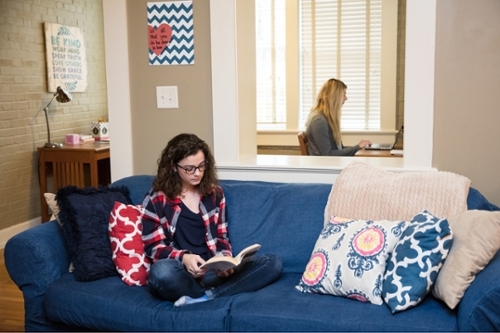 The difference in the original refundable tuition and fees less the amount earned by LaGrange College will be credited to the student’s account as unearned fee charges. If the funds must be returned to a loan program, the student will repay those funds under the terms and conditions of the loan program when the student enters repayment. The student will not be billed for loan funds that must be returned as a result of a refund calculation upon withdrawal. If funds are due to a federal grant program, the student will be responsible for repaying 50 percent of the refund due to the grant program. This adjustment is made in an effort to reduce the impact of withdrawing on students receiving grant assistance. LaGrange College will return these funds on the student’s behalf, but the student is responsible for reimbursing the college. Withdrawal from classes can impact a student’s eligibility for financial aid. Financial aid recipients must maintain Satisfactory Academic Progress for continued eligibility for financial aid programs; a recipient of student loans may have to begin repayment on his/her Federal Loan. If the student fails to make required loan payments, the student can go in to default, which makes the student ineligible for future financial aid. Also, if a student owes a refund to a federal grant or state grant, these funds must be repaid before further financial aid can be received.